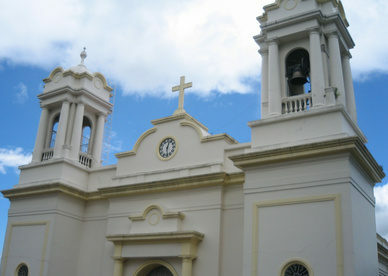 San Jose, Costa Rica’s capital, is full of small towns and villages that have merged over the years into the greater metro area as the city grew. One of those is Santa Ana, population of about 11,000. At one time known mainly for its ceramics and pottery, this once sleepy hamlet is fast becoming one of San Jose’s top suburbs. The original village of adobe buildings and a church dating to 1870 is now surrounded by condos, gated communities, malls, restaurants, and modern office parks – with new buildings going up as we speak. Living in Santa Ana, Costa Rica an expat will find grocery stores with imported foods, familiar chain restaurants like Applebee’s (as well as local low-key, fine-dining options), a bookshop with English-language books, medical and dental clinics, hip hotels, and other upscale amenities. One drawback is that the road system has not kept up with all this new development. Traffic slows to a crawl on the two-lane road that runs through the center of town during rush hour. Many view Santa Ana as a great alternative to nearby Escazu, San Jose’s wealthiest suburb, although with all the development, real estate prices in Santa Ana are approaching Escazu prices for many properties. Thanks to easy highway access – Highway 27, to be exact, living in Santa Ana, Costa Rica can be convenient. You can get to the beach in an hour and into downtown San Jose in 20 minutes. The country’s main international airport is just 30 minutes away. The neighboring suburb of Escazu, home to one of the top private hospitals in the country, CIMA, as well as the best shopping mall in the country, is just 10 minutes down the road. The mall has a multiplex, great restaurants, and favorite American brands like Tommy Hilfiger, Skechers, Victoria’s Secret, and more. A great way to experience its advantages without the expense of living in Santa Ana, is to live elsewhere in the Central Valley and make the drive in for shopping and dining trips. The proximity of the highway makes trips in easy and quick.